Beatrice is an experienced music teacher with 20 years of teaching private piano lessons and music theory for all ages. Beatrice believes that developing a solid techique is the key to creating a strong foundation for the study of piano, and a strong knowledge of music theory will help students become better sight-readers. Therefore, Beatrice emphasizes proper technique and music theory for all of her students. When students become more advanced, she will then incorporate more piano literature and music history. Beatrice's ultimate goalis to create well-rounded musicians. Beatrice is an active member of Music Teachers National Association (MTNA). Beatrice Studio is located at Brooklyn Park, Maryland area and offers piano lessons in Baltimore, Brooklyn Park, Linthicum, Glen Burnie, Pasadens, Millersville, Anne Arundel County. Beatrice's students can opt to take piano examination and music theory examination. 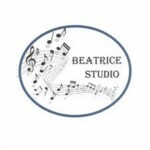 Let others know about Beatrice Studio. Did this teacher help you to learn? How long did you take lessons? Are you still playing music? Share any thoughts or stories you have so that others can know about this teacher!